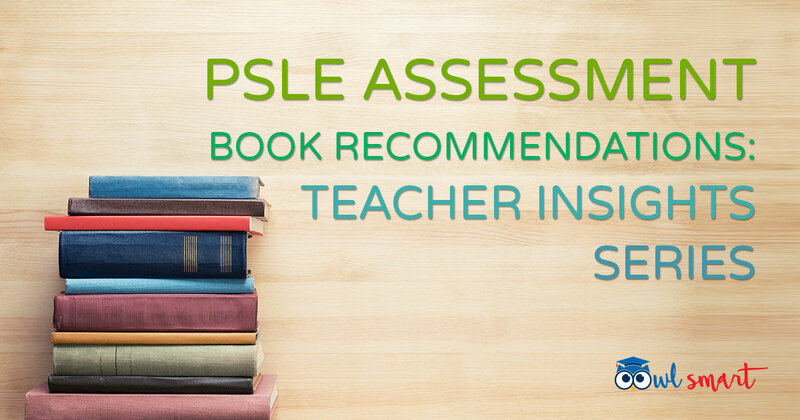 There are numerous PSLE assessment books in all the major bookstores. For many students who do not have tuition, the reliance on assessment books is even greater. According to a survey carried out with 120 parents by OpenSchoolbag, it was found out that on average, students could only complete around 60% of the assessment books bought. So, are parents buying too many assessment books and what should they look out for when buying them? Let our educators give you some recommendations on the types of assessment books you should consider. Note that these suggestions are based on professional but personal opinions. Question 2: There are so many assessment books to buy? Which one do you recommend? I feel every assessment book has its merit. It will be almost impossible to recommend one that is able to make a huge positive impact on a child’s learning. Nevertheless, I prefer not to purchase assessment books that are written by a single author. I have a tendency to purchase books that are written by a team of writers. Do check the year of publication to ensure that it adheres to the latest curriculum requirements. There are quite a few good assessment books that parents can buy in major bookstores like Popular. For students of different abilities, parents have to consider the suitability or level of difficulties of assessment books before buying them. When it comes to Math for weaker students, I would recommend assessment books with levels of difficulties categorised for each topic. When it comes to Science, I would recommend the following books. Please note that the above recommended books are based on my own opinions. Do browse through the books before deciding if they are suitable for your kids. For parents looking for online smart revision services, OwlSmart’s online revision tools is one of the most comprehensive alternatives for your child to carry out progressive learning. Compared with assessment books, digital revision comes with features such as automatic progress tracking, analysis and notifications for parents, all without the need for physical space for the assessment books. OwlSmart has over 10,000 questions for the 4 subjects (English, Math, Science and Chinese) in the database which are categorised according to levels of difficulty, topics, skills or strategies. Many of the questions are adapted from top school papers and all were accompanied with easy-to-understand and detailed explanations. With advanced analytics, parents can pinpoint the student's areas of weaknesses. Reports are sent to parents/guardians’ email accounts for ease of monitoring. Your child can have ample practice by zooming in to areas of weaknesses in topics or strategies or skills before moving on to a higher level of difficulty. OwlSmart has students from over 100 primary schools in Singapore using it due to its novel approach to online PSLE revision. Don't just take my word for it -- a free trial is available to evaluate if OwlSmart is beneficial to your child. For final revision before exam, I also recommend that your child do some practice papers from other schools. These are authentic exam papers whereby the questions are set according to syllabus or Table of Specifications. Remember to time your child so that he/she has enough practices in completing the papers within the allocated time. Try to put your child through the simulated exam condition. It helps! Buy assessment books that are suitable for your child in terms of difficulty levels and make sure they adhere to the latest curriculum requirements. Also remember that the quality of revision is more important than the quantity. Understanding and learning from corrections in one assessment book is better than completing ten assessment books without reflecting from mistakes.